Preview of a panel from an upcoming Sally Forth Sunday page. Establishing shot of Ted’s Parent’s house. Pen and ink (meaning dip pen, brush and rapidographs) with a little razor blade technique for the grass and Pro White opaque watercolour for the trees. 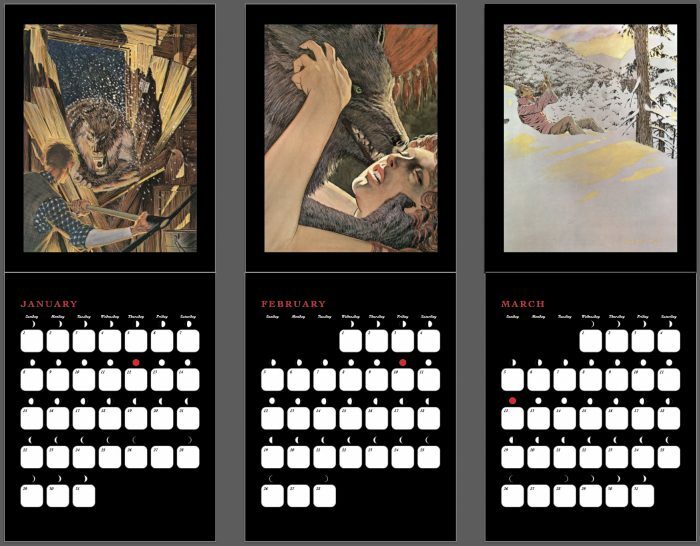 Also checked my Bernie Wrightson Cycle of the Werewolf calendar (which has the lunar calendar) so I could draw the moon in its correct phase. 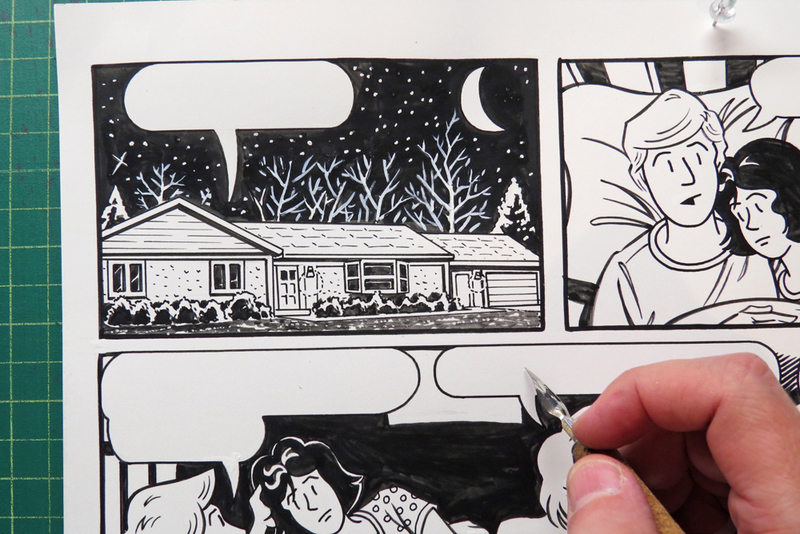 For more info on the art materials I use, check out Comics – Tools of the Trade.